Catholic feast days celebrate the lives of saints and other events all year long. The traditional Catholic feast days in the 1962 Roman Catholic Calendar are still the main Catholic feasts with the Catholic Holy Days of Obligation having pride of place. 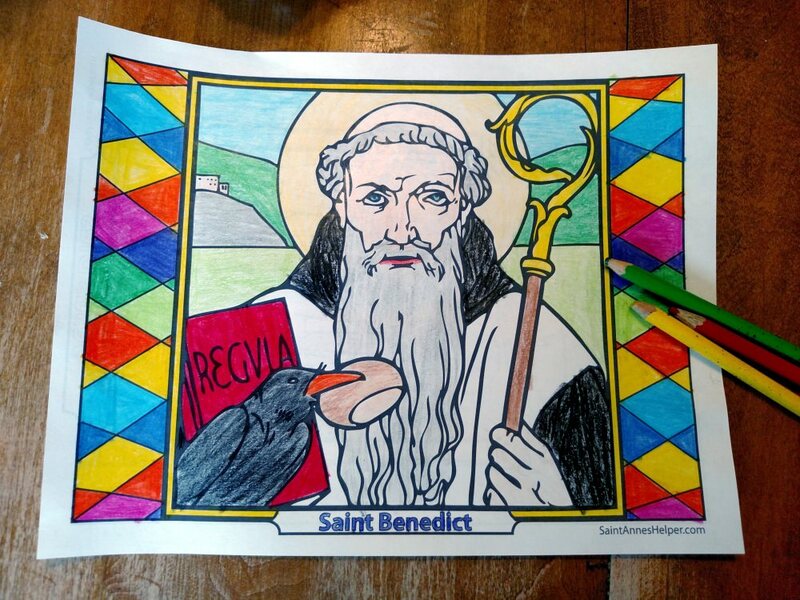 Many of these saints link to coloring pages. 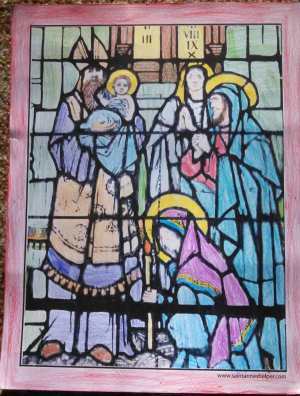 This page has a list that runs through the liturgical year beginning with the Vigil of St. Andrew November 29, the closest date to the Advent season. Remember that in the Catholic Missal, as you approach the end of November, you'll want to go to the beginning of the Proper of the Saints for St. Andrew and the December dates; that is if you have a Catholic daily Missal. The Sunday Missal does not have the saint days. 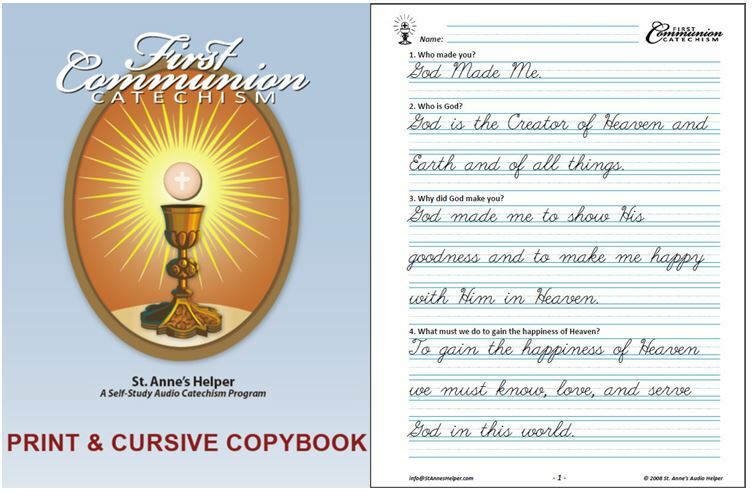 You can sign up for our St. Anne's Helper Catholic Holy Days Of Obligation Reminder that also covers the feast days, the First Fridays, and the First Saturdays. Use the memory of these feast days to pray for your family and friends, both living and deceased. 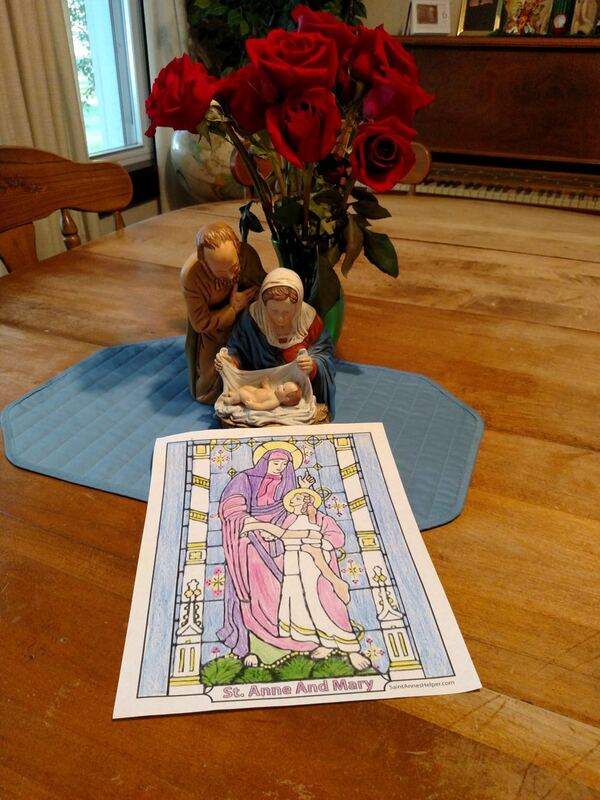 Check your Ordo when there are days like St. Joseph's feast day, May 1, vigils of Apostles and Our Lady that are superseded by Sundays or other holy days. Lent is another such time, although Holy Week is easier if you remember that the Holy Week liturgy comes first. The following list will not reflect those variations through the years. 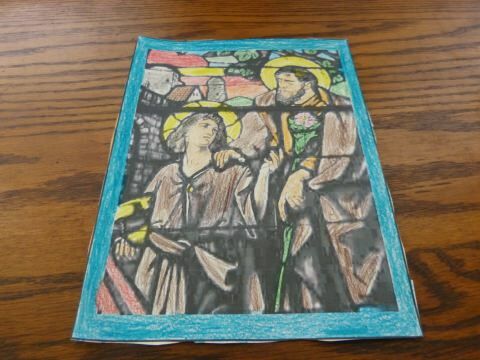 Learn more about the Catholic saints here and see our saint coloring pages here or in links from this page below to particular feast days. There are two Catholic feast days in December that are also Catholic Holy Days of Obligation: the Immaculate Conception and Christmas Day. Check your local Ordo to see what your diocese asks. 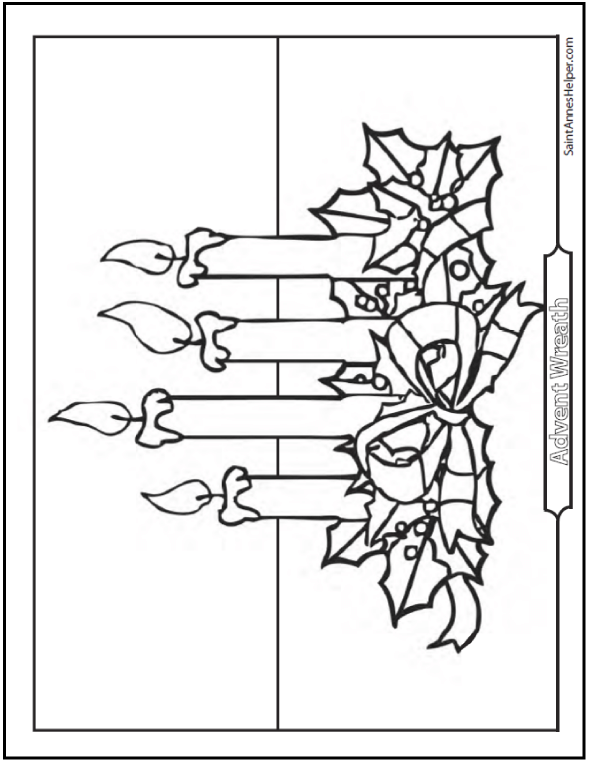 See our Advent printables here. St. Nicholas, Bishop, December 6 - Patron of children. St. Lucy, Virgin and Martyr, December 13 -  Patroness of blind persons. In some countries there are two Catholic feast days in January that are also Catholic Holy Days of Obligation. Check your local Ordo to see what your diocese asks. There are no Catholic feast days in February that are also Catholic Holy Days of Obligation. There are two Catholic feast days in March that are Holy Days of Obligation. The first is the feast of St. Patrick in Ireland and the other is the feast of St. Joseph in the Universal Church and Scotland. Check your local Ordo. Frequently, the main Catholic feast day in April is Easter Sunday. The saints feasts are superseded by the Passion and Holy Week ceremonies. A Catholic feast day that frequently falls in May is the Ascension that is also a Catholic Holy Day of Obligation. Remember that it is forty days after Easter Sunday so it is always a Thursday. There is also the Feast of Corpus Christi, the Thursday after Trinity Sunday. Check your local Ordo to see what your diocese asks. And more Catholic feast day calendars here. 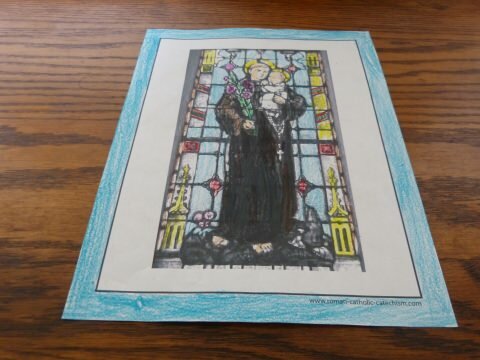 Saint Anthony Guide coloring pages. The Ascension of Our Lord is a Catholic feast day that can fall in June that is also a Catholic Holy Day of Obligation. The Catholic feast of Pentecost is ten days later on the Feast of Whitsunday. The feast of Sts. 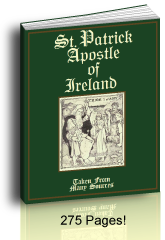 Peter and Paul is a traditional Holy Day in Ireland, England and Wales. Check your local Ordo to see what your diocese asks. 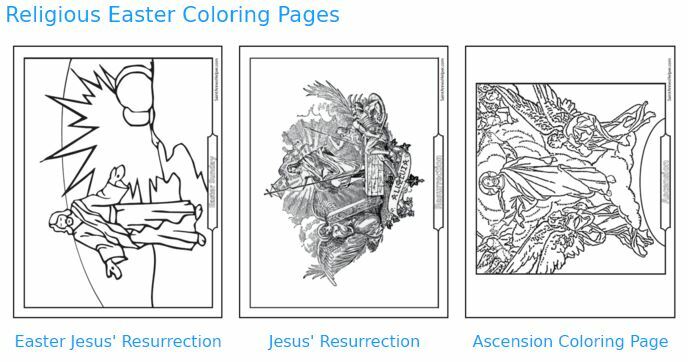 Feast of the Assumption coloring pages. The Assumption is a Catholic feast day in August. It is also a Catholic Holy Day of Obligation. Check your local Ordo to see what your diocese asks. 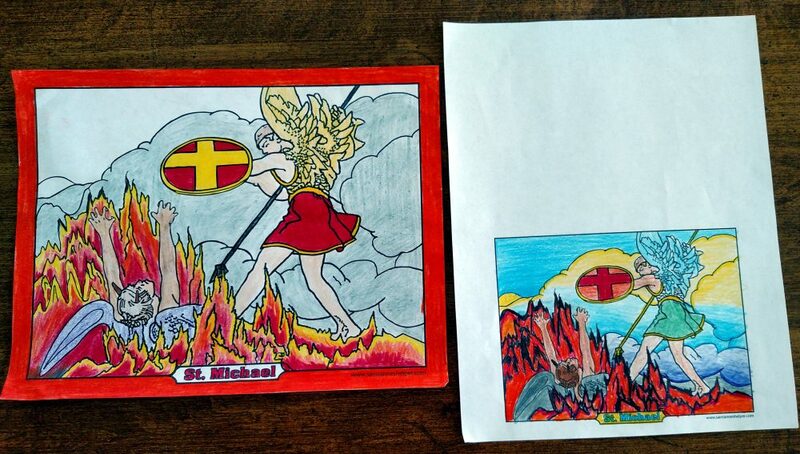 Saint Michael's Feast Day, September 29. 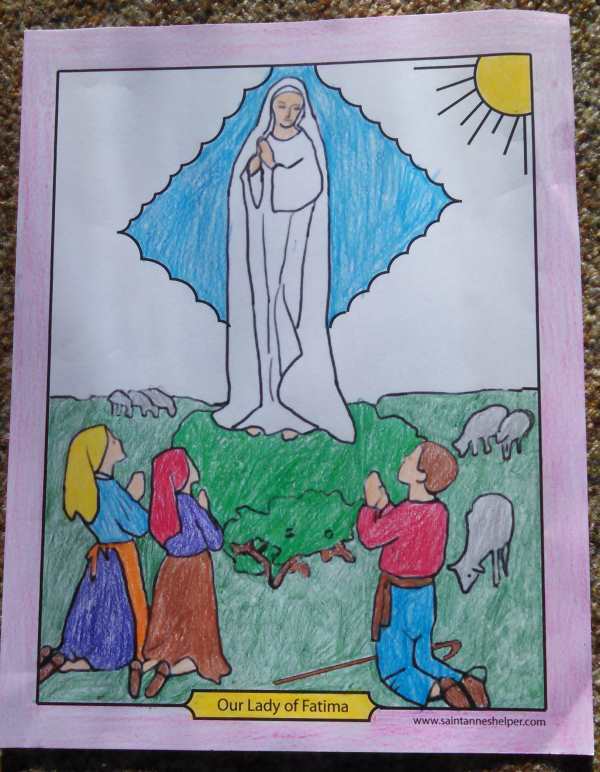 Feast of Our Lady of Fatima and Fatima Prayers with coloring page. 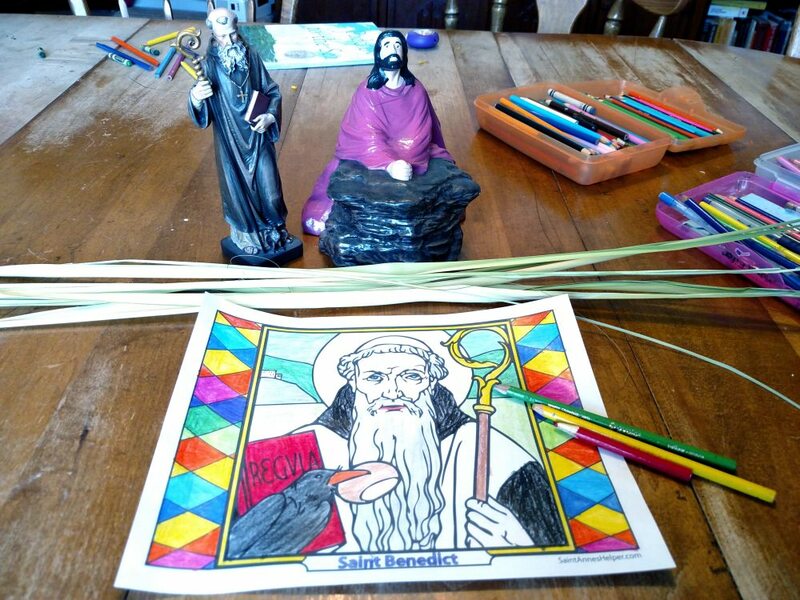 Saint Andrew's Feast Day, November 31: coloring pages, worksheet, and St. Andrew prayer. The first day of November is a Catholic feast day that is also a Catholic Holy Day of Obligation. Check your local Ordo to see what your diocese asks. 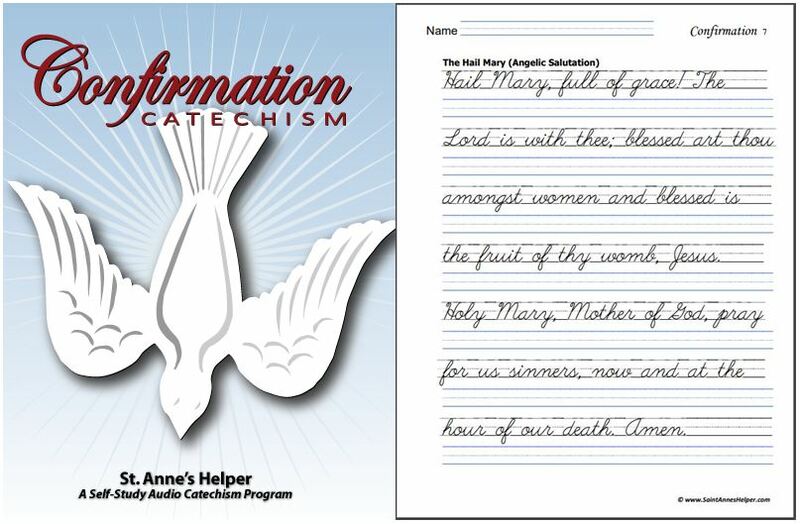 Click here to read about more about the Catholic Holy Days of Obligation. 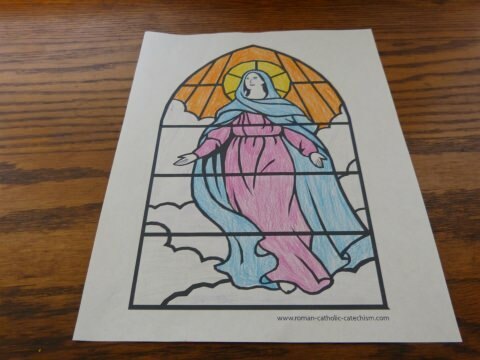 See some of our Catholic Saint Coloring Pages here with pictures of virgins, martyrs, popes, cardinals, bishops, monks, nuns, and priests to color or buy all of them in one bundle here: Catholic coloring pages to print. 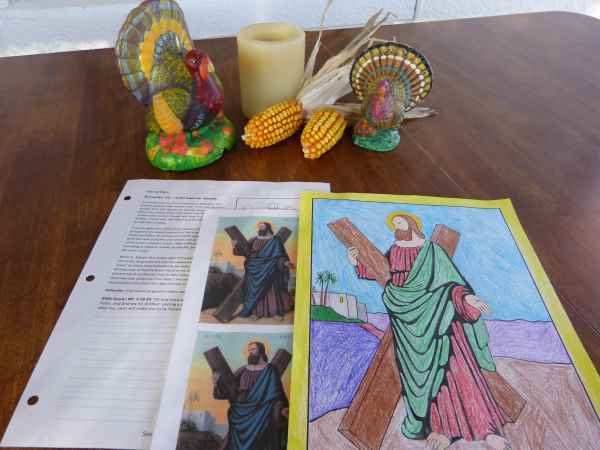 Catholic saints tell the stories of Catholic feast days. Learn about the First Friday devotion here. 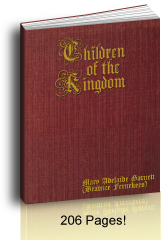 Learn about the First Saturday and Our Lady Of Fatima here. Find more traditional Catholic feast days here. They even have a monthly list of feasts of Our Lady.